If you are an avid radio listener, like me, then don't forget to listen to the Food Programme on BBC Radio 4. This month the programme follows the food stories of Syrian refugees living in the UK. There will also be an episode about cooking for people with dementia, and the role nutrition can play in prevention and pallative care. Catch the show on Sundays at 12.30pm, with a repeat at 3.30pm on Mondays. 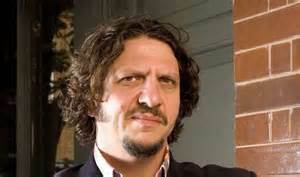 Also on Radio 4, don't miss Jay Rayner (below) and his fellow experts continuing to tour the UK answering the culinary conundrums of local audiences in 'The Kitchen Cabinet' on Saturdays at 10.30am. If it's the TV that supplies your cooking inspiration, then there is plenty of competitive cooking throughout October, as the countdown begins to the final of 'The Great British Bake Off' on 26th October on BBC One. While over on BBC Two, we will finally discover which of the top chefs' extraordinary dishes make it to the 'Great British Menu' banquet at the Palace of Westminster, when the final show goes to air on 28th October. 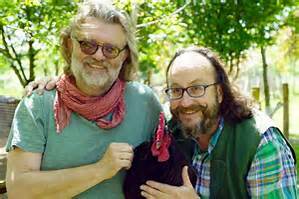 Plus, make sure you catch the final few episodes of 'The Hairy Bikers' Chicken & Egg' series on Tuesday evenings on BBC Two (below). On 'Saturday Kitchen Live', Matt Tebbutt hosted the first October show with guest chef Ken Hom and BBC Good Food contributing editor Rosie Birkett. But next Saturday (8th October), John Torode is back with Spanish tapas king mar Allibhoy and Elizabeth Allen, head chef at Pidgin in London. 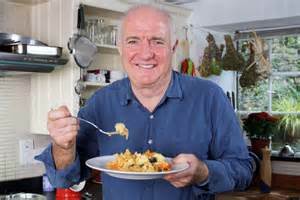 Irish cook Donal Skehan will host on both 15th and 29th October, with Rick Stein (below) presenting on 22nd October. Don't miss that!